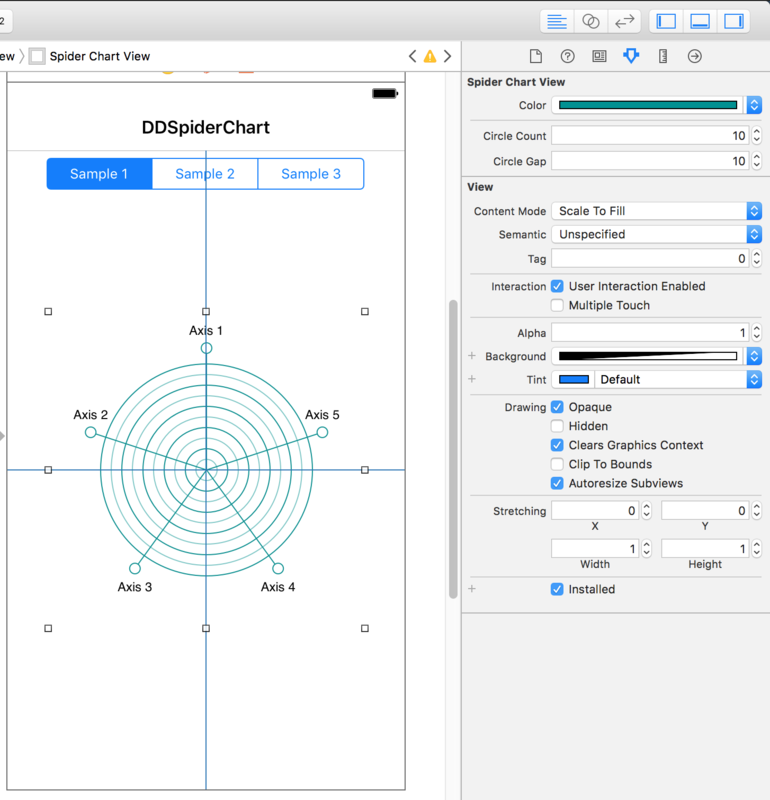 Easy to use Spider (Radar) Chart library for iOS written in Swift. You can use DDSpiderChartView within Interface Builder. Just drag & drop a UIView and set its class to DDSpiderChartView. The library supports IBDesignable protocol, so you will see your customized chart in Xcode. iOS PieChart Opensource. This is very easy to use and customizable.